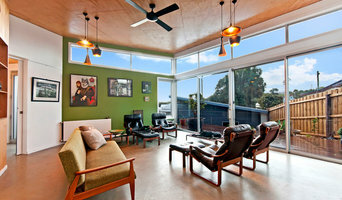 Philip Leeson Architects is an award winning Canberra based practice. We are a multidisciplinary team offering a creative and professional approach developed over almost 20 years in practice. We aim to design innovative, sustainable and enduring buildings and have developed a reputation for our client oriented approach and strong design focus. Sarah Waller qualified as an Architect in the UK in 1989, receiving a Master of Arts in Architecture from the Royal College of Art in London. Sarah then went on to join one of the country's leading architectural practices, Richard Horden Associates, where she eventually became a Design Associate. Her experience within the practice was diverse, from national landmarks and large commercial projects to micro architecture. This experience was an invaluable time for Sarah, laying the foundation for her architectural career. Sarah arrived in Australia in 2006 and set up Sarah Waller Design in 2007, she holds a Building Services Authority ‘Open Licence’. Having quickly established a client base, she has worked on projects from Townsville to Noosa. Sarah’s passion lies in all aspects of design, strongly believing that the architecture and interior design are as one. Her clean design philosophy follows through and is clearly apparent in all her work. The distinctive designs are strong in both their proportion and form utilising strong lines and materials. 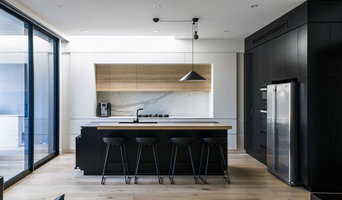 Every project is a unique response to the clients requirements, the site and their budget. The service that is offered is bespoke to each individual client. Sarah works with you, the client, to realise your thoughts, ideas and dreams and develops them into a design that embraces all these elements. She works closely with you building a relationship from the first concept sketch through to construction and this is reflected in the end result. Above all else Sarah and her team are passionate about Architecture, which is reflected in the designs. She is driven by her love of good design and creates a home to suit each unique lifestyle. Sarah Waller Design looks forward to helping clients turn their dreams into a home, our portfolio of projects demonstrates how we have fulfilled those dreams for many of our clients. 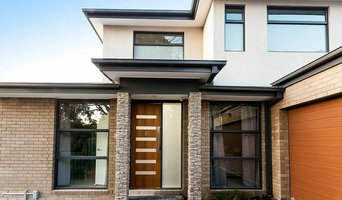 Base Architecture is an award winning Brisbane architecture firm committed to producing only the highest quality of commercial and residential architecture. Through innovation and collaboration, our Brisbane architects develop architectural design solutions that exceed the expectations of our clients. Capable of producing building and renovation designs incorporating the most cutting edge technology, our architects create designs with your needs and desires in mind. 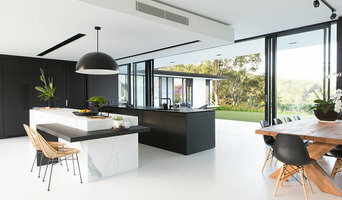 Fluxe is a small boutique style architecture studio based on the Gold Coast focused on delivering uniquely personalised and professional architectural design solutions and drafting services to clients for residential and commercial projects. We are a creative and innovative studio that aims to enhance the identity, quality and long-term sustainability of local and regional architecture solutions throughout Australia. We are committed to enhancing the inter-connected relationship between architecture and landscape,the name ‘fluxe’ was created which describes our company philosophy and approach to design; …architecture and its landscape harmonise when in synthesis, creating spaces which are able to adapt to its environment that is constantly flowing in a state of ‘flux’. The studio is committed to providing progressively minimalistic architectural design solutions that are innovative, sustainable, systematic, functional and responsive to their local site conditions and environment. Adhami Pender Architecture is an established and creative boutique architectural practice with a focus on emotionally intelligent, environmentally responsible residential and commercial design. Our mission is to achieve a unity of beauty, spirit and form in all our projects. We bring a fresh breath of Eastern and Western influenced design.